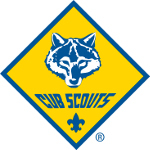 Please use this listing to quickly find the Cub Scout level courses you wish to take. Courses are grouped alphabetically by category. Orientation courses help adult leaders learn more about Boy Scouts of America, their new Scouting role and how to serve and protect youth. Position-Specific courses help Scouters learn how to effectively carry out their Scouting roles. In most cases, completing these courses will make a Scouter "trained" for the role(s) covered in the course. Supplemental courses help Scouters learn more about a particular skill or provide training to enhance their Scouting role(s). Clicking on the link for a course will take you to a page where you can see dates for currently offered courses, download a flier and/or register for a course.